You are a sun goddess. You love being outdoors as much as you can. Whether it’s gardening, golfing, those exhilarating long walks with your friends, or basking on your favourite beach, you just can’t seem to get enough time under the sun. You may not realize it until it is too late, but you are also a prime candidate for sun-damaged skin in Midlands. The sun’s rays that feel so good on your skin can also be its worst enemy. The heat from the sun eventually dries up the supply of natural, lubricating oils that your skin depends on to maintain its glow, soft feel, and vibrancy. Those UV rays you’ve heard about are the culprits and they can cause irreparable harm to the structure of your skin. What are the risks of getting “too much sun”? If you are fair-skinned and have light-coloured eyes, you are generally at the greatest risk for developing skin problems from sun exposure. Even if you slather on the sunscreen and wear that fun wide-brimmed hat, you still run the risk of sun-damaged skin in Midlands. Among the most common symptoms you may experience are dry skin, mild or painful sunburn, and a condition known medically as “actinic keratosis”, which shows up as a tiny, rough-textured bump or a scaly patch on skin that has been overexposed to the sun. A percentage of these can turn into some form of skin cancer. So, it is vitally important that you seek professional help if you are experiencing any of these symptoms. What can I do if I have sun-damaged skin? Fortunately, at the Solihull Medical Cosmetic Clinic, leading medical expert, Dr. Victor Sagoo, can help you with an effective and safe treatment that can restore the natural glow to your sun-damaged skin. Dr. Sagoo has treated thousands of patients both in the UK and abroad over the past seven years. His clinic has become one of the most highly recognized, doctor-led, medical cosmetic clinics in the UK and is one of the very first to utilize the FDA-approved Pearl Procedure to treat sun-damaged skin. How do I know if the Pearl Procedure can undo damage to my skin? After your initial consultation and examination with Dr. Sagoo, based on his recommendation, together you will decide if the Pearl Procedure can help reenergize your skin and return it to a healthy, “pearl”-like glow. Is the Pearl Procedure painful? The Pearl is a non-invasive procedure that uses gentle, safe lasers, and may reduce any fine wrinkles, discolouration, and other visible sun damage to your skin. The procedure itself generally takes only about fifteen minutes. Compared to older technologies, the Pearl may give you more pleasing results using fewer treatments and less recovery time. There is normally a three-to-four-day recovery period in which your skin will appear pink or red. So, you can go about your daily activities, but you may wish to avoid being the center of attention during your recovery. Do I have to come back for another treatment? Most sun damage can be alleviated with just one treatment. There may be an occasion where Dr. Sagoo will recommend a second procedure, which would occur thirty days after your first treatment, in order to achieve the results you want. 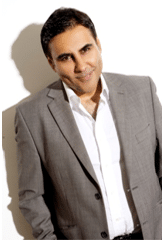 If you feel you are a candidate for the Pearl Procedure, and would like to schedule your free initial consultation with Dr. Sagoo, please contact the Solihull Medical Cosmetic Clinic online or at 0845 603 6150.